Disney’s purchase of much of the 21st Century Fox empire, including their film studios and television holdings, was a major merger in the entertainment world and could, possibly, allow for certain Disney franchises (namely the Marvel Cinematic Universe) to expand to include Fox’s holdings. On the sports side of things, many were excited about the possibility of ESPN taking over Fox’s regional sports networks, but the Department of Justice shot down Disney acquiring those 22 networks, noting the competition in the cable sports arena required ESPN not to hold that great of a monopoly on the airwaves. As such, they are now up for grabs as ESPN must sell off those networks, while Fox pared its holdings down to its news networks, FS1 and FS2, and Fox broadcast network. There are plenty of interested suitors for the networks, which include Fox Sports West and Prime Ticket in Los Angeles, YES Network in New York, and plenty of other regional networks serving some major markets. 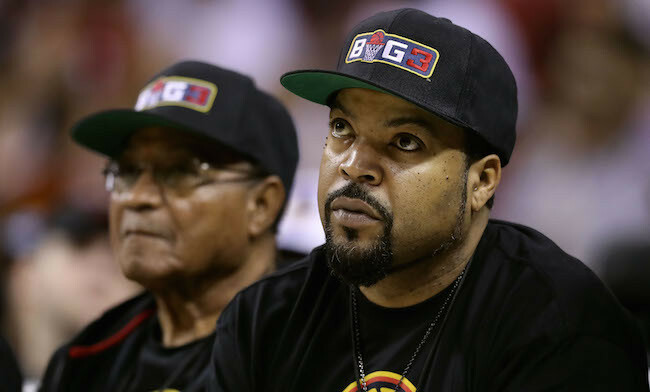 Amazon, Sinclair, and numerous others are reportedly sniffing around at potentially buying some or all of the networks, but so is Ice Cube through his basketball league, the BIG3. The league is currently broadcast on FS1 and Fox, and Cube has noted his desire to purchase the regional sports networks to offer different possibilities for programming. The problem is, Disney is expected to fetch near $20 billion for the networks, per the Los Angeles Times, with it highly likely they sell them off in pieces to maximize their return on investment — for example, YES, which carries all Yankees games, could be a highly lucrative asset on its own. While Ice Cube has been successful in his career, $20 billion isn’t something he can come close to putting up on his own, so the L.A. Times notes he’s seeking investors to go in with him in hopes of getting to a $15 billion bid. He has reportedly approached media giant Viacom about his plans, and while they’ve politely declined to invest money, they did offer to help with programming if his bid is successful. The sale of the regional networks will be of significant interest to fans in those markets as any buyers will have a say in any changes to programming and the broadcasts of games. Still, one would think there wouldn’t be sweeping changes coming to the games themselves as contracts are long since locked in, but it will be interesting to see if Ice Cube can bring in enough investors to make a competitive bid and what networks will be sold where.